Numerous studies confirm the effectiveness of acupuncture for increasing pregnancy rates in women undergoing in vitro fertilization (IVF). In fact, studies indicate a 40% to 91% improvement of success rates for patients who receive acupuncture in combination with traditional Western medical practices. 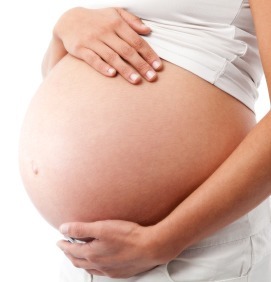 Acupuncture Plus specializes in fertility treatments for both women and men. Carol LeCroy brings a wealth of knowledge from post-graduate study in fertility enhancements, as well as a decade of close work with the Colorado Center for Reproductive Medicine, the world-renowned clinic of Dr. William Schoolcraft. Applying this substantial experience, she uses Traditional Chinese Medicine treatments to re-educate the nervous system while improving ovarian functioning. She also counsels patients on the impact of dietary and lifestyle choices, helping them achieve better results from IVF and superior physical preparation for pregnancy and childbirth. Learn more about how modern nutritional supplements and specialized herbal formulas can affect fertility at the Acupuncture Plus Online Pharmacy. As we have struggled through infertility and are now finally ready for our IVF procedure, Carol has been the stability needed while we rode this roller coaster. When I arrive at Acupuncture Plus, I know, and my body knows, it's my time.